Your business is your biggest priority and a sole source of your income. Everything related to it, whether the factory, warehouse or office is dearest to you. You can give up anything to protect your business premises from any damage. You must have employed the best security to protect your factory, warehouse and office from any outside threat. But, some things are beyond one’s control. What if some of your enemies or people who are jealous of your progress conspire to harm you by harming the sole financial source of survival for your family? Yes! There is a constant risk of theft after the violent or forceful entry into the business premises, factories, and warehouses even today! Criminal activities related to corporate still include harming property through the loot, violent entry and damage to the machinery, raw materials, and goods as well as the entire building of the factory. Moreover, in the criminal world, people have further proceeded to include the latest technology to commit such acts, and so, even if you may claim to have the best security system in place, you need to beware! A single such incident may drain savings of your entire life and leave you financially crippled. The prospective risk can never be completely judged, and in most cases, it can lead to a huge amount of losses that can burn a hole in your pocket. What to do to save your business from such a catastrophe? Do not worry as there is the provision of burglary insurance policy that can be availed in order to protect your business from such threats. A burglary insurance policy, as the name suggests, covers losses caused due to theft following an actual or attempted violent entry in the insured premises and property. The property covered under this policy includes assets, machinery, furniture, fixtures and fittings and electrical installations. So, in the case of any such incident, the compensation can be availed for all such assets under the limit of the sum insured. Certain insurers extend the burglary cover to include the damage as a result of riots, strikes and other such incidents that may affect a group of business premises. So, if you operate in a riot-prone area consider availing this option to reduce the business risk. Further, you can extend the policy to cover cash, valuables, and securities which are kept in a safe. Damages as a result of burglary done in any manner are covered under the policy. However, if the crime involves some relative or a family member of the insured, such a case will not be covered under the policy. Sometimes, business warehouses store the goods of any other company in a good interest. But, what if such third-party goods are damaged due to unexpected burglary? 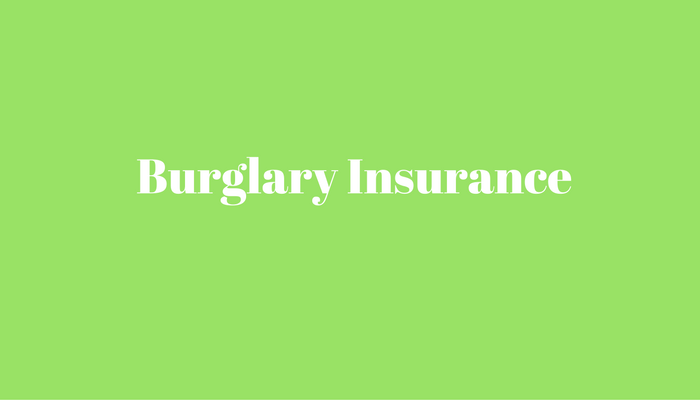 Certain burglary insurance policies cover the stock that is not owned by the insured, but was kept with it in trust and commitment. However, such stock is included only if it has been mentioned in the policy wordings. A successful business thrives on taking risks. However, it would be foolish if you don’t take adequate steps when you should. Therefore, purchasing a burglary insurance policy is a must for all kinds of businesses as it is necessary to save your business from losing a large chunk of your savings from a catastrophic incident like theft or burglary. Moreover, in today’s internet driven world, buying insurance online has no more remained a daunting task. Online insurance brokerage firm, like SecureNow, can help you in comparing and buying the right insurance policy at a click of the mouse. They work with all the leading insurers and design a comprehensive policy for you as per your varied needs. Your business is the result of your hard work and efforts. So, don’t let any unforeseen event hinders its growth. Go for a burglary insurance policy and secure your business from all risks.